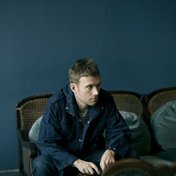 On March 23, 2018, Damon Albarn, known as the frontman of the Blur group, as well as the founder of the projects Gorillaz and The Good, the Bad and the Queen, celebrates the anniversary. The first albums of Blur, especially "Parklife", became cult for the Brit-pop. To the 50th anniversary of the musician, we remembered the 50 best tracks of the genre. Listen to the collection The legacy of the Brit-pop in high quality, absolutely free. You can listen to the whole collection, or separately song by song. In addition to The legacy of the Brit-pop of the collection, you can find any other one by following the link and get information with the already collected collections and collections of tracks, songs and music.